Tomcat's Sweepers are built to sweep factories: dirt, dust, metal shavings, foundry sand, bolts, paper, wood, whatever there is. Tomcat's are compact, not light-duty. 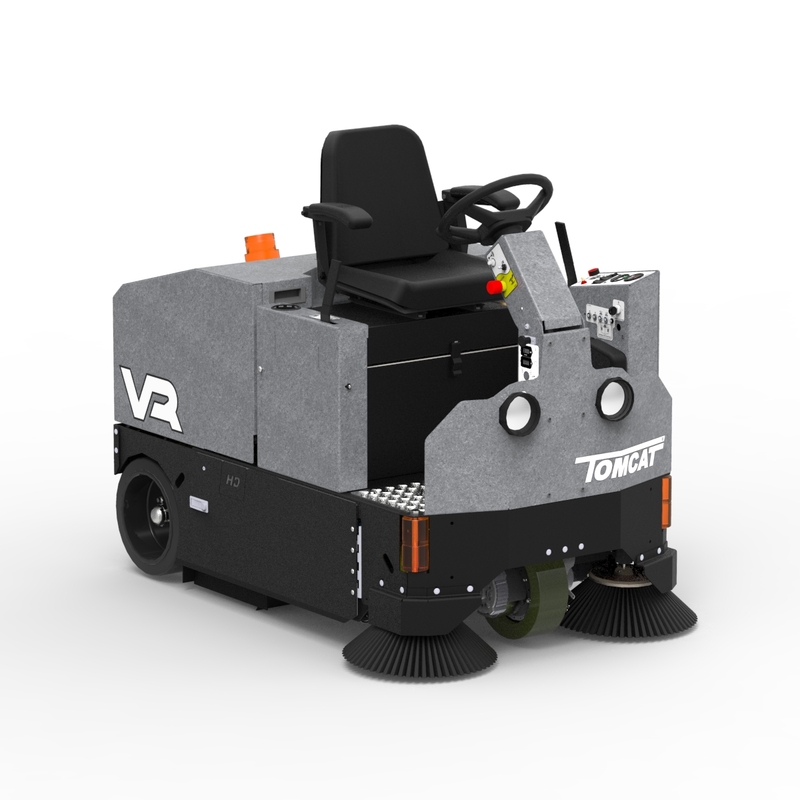 The Tomcat model VR's design was built from the success of our retired Model 34 (now replaced by the GT Sweeper) Walk Behind Sweeper. 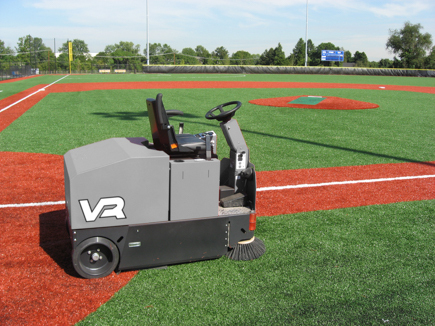 The VR's side brooms sweep up dirt in the corners while a huge tubular sweeping broom under the machine sweeps up the dirt and debris from the floor and packs it into the steel hopper. Meanwhile, the second stage vacuums up the dust and traps it in a polypropylene felt "baghouse" filter. Tomcat's Commercial Sweeper Equipment can pick up whole bags of cement at a time without leaving a trace of dust behind. Dimensions (L x W x H): 64" x 37" x 55"
Main Broom (L x Dia): 32" x 10"